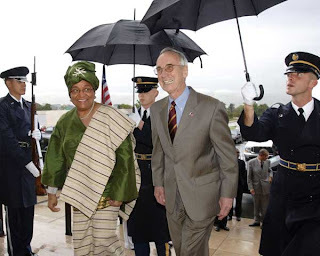 Liberian President Ellen Johnson-Sirleaf has been visiting the US this past week. She received several much deserved awards, including the 2007 Freedom Award. And she received the Presidential Medal of Freedom from President Bush. He promised debt relief for Liberia and to assist with getting Liberia qualified for Millenium Challenge Accout funding. I do wonder what they discussed at the Pentagon, especially regarding AFRICOM. I suspect the US would like to have its headquarters in a country with more developed infrastructure, and a somewhat longer history of stability than Liberia has at present. And there is news today that President Johnson-Sirleaf announced that the AFRICOM headquarters will not be coming to Liberia, she gave lack of infrastructure given as the main reason. What Africa needs least is U.S. military expansion on the continent (and elsewhere in the world). What Africa needs most is its own mechanism to respond to peacemaking priorities. I would not trust anything Bush says about debt relief. All programs designed by the Bush administration to date, are designed to financially advantage Bush cronies. Whatever program Bush puts in place, crony capitalism will be its primary result.
. . . it needs to be borne in mind today’s South Africa is a democracy and thus policy direction comes not from the security professionals, but the political echelons of the ANC among whom the “anti-Western” and “revolutionary” rhetoric of the bin Ladens and Ahmadinejads of the world still resonates. Pham concludes his article by hyping terror threats against the World Cup. Chief of Defence Staff, Lt. General Andrew Owoye Azazi yesterday allayed the fears of Nigerians on the continued presence of United States military in the Gulf of Guinea. “US wants relative peace to be able to undertake their business” he said pointing out that there is no other motive behind their troops presence to worry anybody. On the Niger Delta situation, the Defence chief said that military have lost sizeable number of personnel in the troubled region but refused to give the exact figure of casualties. He said that Nigerians should not expect a military solution to Niger Delta problem but assured that the military will try to stabilize the place for the much-needed political solution. On the intelligence capability of Nigeria military to cope with the Niger Delta situation, General Azazi said the military have it but noted that successful intelligence work depends largely on the people and their willingness to give information. General Azazi also spoke on the role of the military in the last general election and said that they were only asked to ensure stable environment for the poll to take place. The Chief said that a guideline was drawn out for those military personnel who participated in ensuring stability during the elections.He noted that most of the allegations of military involvement cannot be substantiated but assured that any obvious case will be dealt with in a military way. “We will deal with the identified ones” but wondered how it can be substantiated. Trust us to take care of any problems, we have your best interests and the best interests of the country and the continent at heart. You don’t need to know anything, we’ll take care of it. Trust us. Nigeria has voiced opposition to AFRICOM. But the US government has been working on them. This looks like Nigeria may be yielding. 3. — Meanwhile, in Iraq, the Iraqi government may be evicting Blackwater. And the Iraqi government has officially rescinded the ruling that gave security contractors immunity from prosecution. So the mercenary corporations may feel the need to leave Iraq. This is not good news for Africa. Theresa Whelan, Defense undersecretary, has encouraged the use of military contractors in African countries. The contractors have been acting with violent impunity in Iraq. The pattern of behavior of the developed countries in military engagement with Africa has always been to assume they are entitled to act with violent impunity (it is civilizing, or now, globalizing). If military contractors leave, or are evicted from Iraq because they can no longer act with violent impunity, they’ll be looking for more jobs, where they can continue their violent behavior unrestrained. African oil and resources seem likely to draw their attention, which is very bad news for people living in African countries. The Gulf of Guinea has significant strategic importance because a large percentage of U.S. oil imports flow through it and U.S. officials are concerned about organized crime, and potentially terrorism, in the region. “It provides a good example of what the newly established U.S. Africa Command is about as it relates to helping our partner nations on the continent of Africa build their capacity to better govern their spaces, to have more effect in providing for the security of their people, as well as doing the things that are important in assuring the development of the continent in ways that promote increased globalization of their economies as well as the development of their societies for the betterment of their people,” said the general. General Ward says Africa Command will do the same type of training and humanitarian assistance missions the U.S. military has pursued in Africa for years, but will do more and will have better coordination with other U.S. government agencies, humanitarian groups and African governments. He says such missions should help dispel concerns expressed in many African countries about alleged plans establish U.S. bases on the continent and to ‘militarize’ U.S. Africa policy. “Once the command begins to operate, they will see that this hype of establishing large bases is just not a reality,” said General Ward. The commander of U.S. Navy forces in Europe, who is responsible for the Africa Partnership Station mission, says even with Africa Command not yet fully operational, the navy is moving from what he called ‘episodic’ involvement on the continent to a nearly constant presence, in response to requests from African countries. At Moon of Alabama b real has some particularly cogent reporting and analysis on the launch of AFRICOM and the USS Fort McHenry. I recommend you go there and take a look. The goal of AFRICOM is to guard US oil interests, as the headline so clearly states. The proffered partnerships are to train African militaries to do the jobs the US wants done. This process is already well underway. As Vijay Prashad points out, African armies have increasingly become praetorian guards to protect the interests of large corporations. These “partnerships” AFRICOM touts are intended to be part of that “nearly constant presence”. In the article quoted above, General Ward brushes off the idea of large bases. 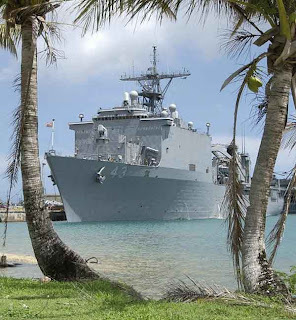 The US will maintain a number of floating bases. Although I suspect it is still looking for a land base. The US may not need a land base to accomplish its objectives if it can manipulate its “partners” to its satisfaction. When we hear talk of military partnerships, we should remember the ongoing US & Latin America military partnership, the Western Hemisphere Institute for Security Cooperation (WHINSEC) formerly the School of the Americas (SOA) and still based in Ft. Benning Georgia. It has been a military coup factory for Latin America. SOA has trained more than 60,000 Latin American soldiers and policemen. Among its graduates are many of the continent’s most notorious torturers, mass murderers, dictators and state terrorists. As hundreds of pages of documentation compiled by the pressure group SOA Watch show, Latin America has been ripped apart by its alumni. Two former instructors of the Western Hemisphere Institute for Security Cooperation (SOA/WHINSEC) are among the thirteen. Africa has already experienced more than its share of military coups. Coups stop progress and development dead in their tracks. We don’t need more. There are already unfortunate ties between Latin American drug cartels and West Africa. Do we want the US military facilitating these ties, with African officers making contacts for the drug trade as part of their training? The US has been a complete failure in its war on drugs. There is NO reason to think it will do better in Africa, a continent about which it knows almost nothing. The reference to increased globalization is likewise chilling. I see globalization and I think evisceration. The phrasing sounds like they are planning to open up Africa and pry out what they think are the good bits. It tells Africans that yet again they will be subsidizing the developed world with both blood and treasure. Of the world’s 100 largest economic entities, 51 are corporations, and only 49 are countries. In this parallel secret universe the world’s biggest and richest individuals and firms, News Corporation, Citigroup, and, yes, ExxonMobil – can quite legally cut themselves loose from pesky full taxation and grow explosively, leaving smaller competitors, who pay their full dues along with the rest of us, choking in their dust. This undermines the very notion of capitalism: the big companies’ advantage has nothing to do with the quality or price of what they produce. If you are worried about the power of big global corporations, don’t always attack them directly, but attack bank secrecy instead. This is the clever way to take on the big fish, using a net that would also snag the Sani Abachas, the Mobutus, the North Koreas, the terrorists, and the drug lords. Africa’s Gulf of Guinea will produce 20 or so billion barrels of oil in the next decade, worth perhaps a trillion dollars . . . If half of global trade finance flows through offshore structures, and soon a quarter of America’s oil imports will be coming from Africa . . . we have a systemic and fast-growing problem on our hands. The dirty world of tax havens is no grand conspiracy, but a decentralized global terrain tucked away in the interstices between states. It is a problem of fragmented global political and economic architecture. National politicians cannot solve this one: only a coordinated international response will do. So far there isn’t much sign anyone wants to do anything about this. In fact for the last several decades we have been moving globally in the opposite direction. But all countries would be well advised to consider the problem of money flow, at least if they want to maintain any sovereignty at all, even the large countries. Of course the people running most countries benefit from the globalized money flow. And now corporations can behave even more like states, with their own foreign and military policies, hiring the the growing ranks of corporate spies and militaries. “These companies rival and possibly surpass the capabilities of intelligence services of most nations. . . . Such capacity for covert operations has never before been in private hands–and for rent.” This does not bode well for anyone anywhere in the world. Capitalism without democracy is gangsterism. When capital is global, democracy needs to be global too, or it is threatened everywhere. Democracy can take many forms, and can adapt to cultures and history. But more people need to have their say in how their resources are monitored and distributed. The question of whether the telecoms acted in “good faith” in allowing warrantless government spying on their customers is already pending before a court of law. In fact, that is one of the central issues in the current lawsuits — one that AT&T has already lost in a federal court. Yet that is the issue that Jay Rockefeller and Mike McConnell — operating in secret — are taking away from the courts by passing a law declaring the telecoms to have won . . . They are directly interfering in these lawsuits and issuing a “ruling” in favor of AT&T and other telecoms that is exactly the opposite of the one an actual court of law has already issued. Mostly we have thought of the US as a democracy, and not a pre-democracy. But Administration and Congressional support for this bill makes us highly sceptical, and even more worried that the US is becoming a post-democracy. In many parts of the world, if you say something the government doesn’t like, jeeps arrive at your door at 4am. One of the beautiful things about the United States was that this did not happen, at least not legally. Now the US government has private spies and private armies, dangerous steps in a dangerous direction. Red alert: Our national security is being outsourced. Surprised? No wonder. In April, Director of National Intelligence Mike McConnell was poised to publicize a year-long examination of outsourcing by U.S. intelligence agencies. But the report was inexplicably delayed — and suddenly classified a national secret. What McConnell doesn’t want you to know is that the private spy industry has succeeded where no foreign government has: It has penetrated the CIA and is running the show. Private companies now perform key intelligence-agency functions, to the tune, I’m told, of more than $42 billion a year. Intelligence professionals tell me that more than 50 percent of the National Clandestine Service (NCS) — the heart, brains and soul of the CIA — has been outsourced to private firms. This is why the big telecoms, and their friends in Congress want immunity. 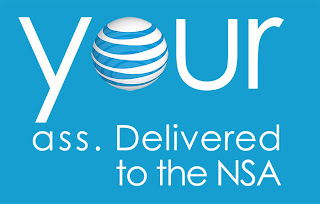 They are among the companies who have been spying illegally on the American people. The law giving the telecoms immunity has been stopped, at least for now, by Sen. Chris Dodd. He deserves high praise for his patriotism, and his defense of the US Constitution. In reading Poisoned Wells: The Dirty Politics of African Oil, I came across this description of the government of Congo Brazzaville.
. . . it is not just inefficient public companies that are being privatized – but the very functions of the state. State shipping taxes on oil and timber are paid to private interests, and not recorded in the budget. The national airline collapsed down to little more than a vehicle for collecting air transit fees from foreign airlines; private firms have armlocks on port and shipping facilities, telecommunications, and banks, breaking laws freely or having parliament rubber-stamp new ones in their favor. What struck me is that this is the final reduction when government is privatized. This looks like the ultimate outcome of the kind of government to which Bush/Cheney are leading the US. 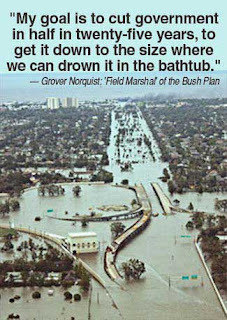 The treatment of New Orleans following hurricane Katrina is one example, as illustrated above. But there are others. Sometime earlier this year I read about the Bush administration trying to privatize functions of the IRS, including tax collection, which sounds a great deal like Congo Brazzaville. Bush vetoing the SCHIP childrens health insurance is another. The Republican argument reduces to: if your parents can’t afford private health insurance, you can’t have health insurance. Can the DIA afford $1 billion of staff who are paid a “private business salary” when it’s own government staff receive “taxpayer funded salaries”? Can the DIA really afford $1 billion of staff who do not have a fiduciary duty to the DIA, but to another entity? John Holt, in a recent article in the London Review of Books speculates that the current situation in Iraq is exactly what Bush and Cheney had in mind when they invaded Iraq. On the assumption that the Bush-Cheney strategy is oil-centred, the tactics – dissolving the army, de-Baathification, a final ‘surge’ that has hastened internal migration – could scarcely have been more effective. 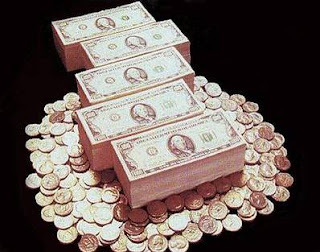 The costs – a few billion dollars a month plus a few dozen American fatalities (a figure which will probably diminish, and which is in any case comparable to the number of US motorcyclists killed because of repealed helmet laws) – are negligible compared to $30 trillion in oil wealth, assured American geopolitical supremacy and cheap gas for voters. In terms of realpolitik, the invasion of Iraq is not a fiasco; it is a resounding success. And, of course, the costs do not include any consideration of the cost to the Iraqis, once again looking like the Congo Brazzaville model. And Bush and Cheney increase their possibilities for accumulation. It is a fact that American foreign policy has attracted the retaliatory attacks the Americans love to call “terrorism”. Having tried to effect illegal regime change in over 50 countries in addition to invading 35 others in 56 years, the U.S. made its bed and so must lie on it. Most worrisome is the fact that the U.S. always tries to protect its interests by military means to the extent of pursuing illegal regime change on liberation movements, with the hope of replacing them with stooge regimes. This is not something new. In the 20th century the people who were most willing to do the work to create more egalitarian and more democratic government in many developing countries called themselves Communists, especially during the independence movements and decolonization following World War II. The US worked to undermine and overthrow them around the globe. Military “stooge regimes” have been the US government of choice for most of the world for some time. And in many of these cases, the reason was that the US perceived an economic threat to corporate interests from the communists. And in many cases there was a genuine threat. Liberation movements were working for the betterment of ALL the people, not just some, not just corporations and their shareholders. Liberation movements were looking for a just return for work, and fair distribution of resources. Corporations harnessed US anti-communist sentiments for their legislative and economic agenda. The corporations, and the American people, would have been better served to work out fairer means of distributing wealth and resources. In the long run, the US achieved the opposite of what it claimed to want. The US accepted, and often facilitated the severe repression of the vast majority of their people under military governments throughout Latin America, Africa, and Asia, stopping political progress dead. The US only questioned those governments where it perceived some threat to US corporate interests. Some US government officials in the field bemoaned their cozy relationship with oligarchies and militaries against the Communists. for example, the deputy chief of the U.S. embassy in Guatemala in the 1950s, Bill Krieg, noted that the reactionary forces were “bums of the first order” who “wanted money, were palace hangers-on,” while the Communists “could work, had a sense of direction, ideas, knew where they wanted to go.” They were “honest, very committed. This was the tragedy: the only people who were committed to hard work were those who were, by definition, our worst enemies.” The CIA and the old social classes crushed the Left in many parts of the darker nations, enlivened the old social classes, and later – much later – found that they had created a monster they could not control. Most US military interventions have been to protect US corporate interests. And the long term effect of many of these interventions is to create enemies among people who might otherwise be natural allies, friends and supporters, the kinds of people who share the values the US professes to maintain. The US support for military regimes and oppression has earned much resentment throughout the world. Long term, this has severely harmed US interests and endangered US citizens. That upwelling of anger and resentment is what Prashad calls the monster the US cannot control. 1876—Rutherford B. Hayes, who became President of the US in 1877. Or see the words of President Eisenhower, who famously warned his nation and the world about the military industrial complex in his farewell speech as president. This was after he spent his entire administration locking the military industrial iron triangle into power.
. . . security and defense had come to be reality, whereas social development became idealistic.